To all new homes contracts we meet the NHBC maintenance liability period. We also recognise that the talents of a maintenance engineer in occupied dwellings are different from that of an installer at a building site. For this reason we use the expertise of Red Van Plumbers who use engineers specialising in these particular skill sets. Red Van Plumbers is part of our group and are a very professional outfit suited to this type of service. A dedicated improvements, services and maintenance division providing additional and on-going support to our customers. 1. Once R.G. Evans complete a dwelling and it is tested by the installer, it is thoroughly checked and commissioned by a dedicated engineer. A certificate is provided with a check sheet, which acts as a handover to the developer but also records all the details of the dwelling, the system and the commission findings. This is stored on our data base for future reference. 2. 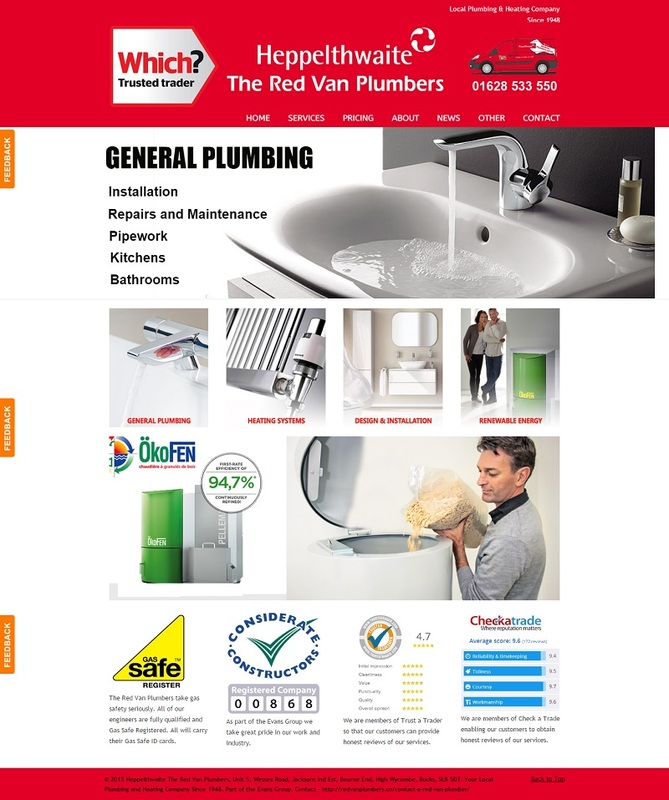 Red Van Plumbers provide a dedicated customer care operator for this service who will normally be contacted by the developer’s After Sales team if there is an issue with an installation. 3. This operator then takes ownership of that call and manages the issue to a successful conclusion. SPEAK DIRECT WITH THE OCCUPIER – With our client’s permission we call the occupier to offer advice, explanation or seek further information if needed. MANUFACTURER CALL OUT – We organise a call-out from a manufacturer for a product under warrantee issues. OUR INSTALLATION ISSUE – We organise a call-out from one of our engineers. Appointments can be organised direct with the occupier or through our client as required. 5. The operator has access to a pool of engineers and can arrange an emergency callout if necessary. 6. If necessary, the operator obtains spare parts and organises repeat engineer visits. 7. The operator reports to the clients After Sales team with regular updates and confirmation when the issue is dealt with completely. 8. Also we will contact our client on a regular basis to check our system is working as expected and all issues have been dealt with.